A growth is being observed among the returns of equity mutual fund schemes and the main factor responsible for this rise is the increase in the price of banking, automobile, and energy stocks. Almost all the large-cap schemes and mid-cap schemes have increased their allocation in the finance, automobile, and energy sectors to enjoy this growth. One such scheme that has done the same is Tata Equity P/E Fund. Today, we will see, how by investing in this scheme you can enjoy the growth of finance as well as other sectors. What Is the Current Allocation & How it Can Benefit You? Tata Equity P/E Fund currently has an investment of 26.44% in the finance sector and the top holdings from this sector are HDFC (9.58%), Yes Bank (8.61%), City Union Bank (1.98%), Muthoot Finance (1.81%), and JM Financial (1.28%). All the above stocks have shown constant growth in the past 6 months even when other big players like State Bank of India, Bank of Baroda, Punjab National Bank were following a downward trend. This shows the proficiency in stock picking that the fund managers have. In addition to the finance, Tata Equity P/E Fund also has major investments in automobile (16.95%), energy (15.82%), construction (7.51%), services (5.49%), technology (5.36%), and the top holdings from the above sectors are Reliance Industries (7.70%), Bajaj Auto (4.46%), Mahindra & Mahindra (3.49%), Power Grid Corporation (3.47%), Tech Mahindra (3.42%), Larsen & Toubro (2.78%), Grasim Industries (2.78%), Zee Entertainment (2.49%). All these stocks due to the underperformance of equity market are dealing at lower levels, and are expected to reach their intrinsic values in the coming few quarters, and when that happens the returns given by the scheme will automatically increase. Now let's have a look at the basic parameters of the scheme which will guide you better while making an investment. Tata Equity P/E Fund currently has a NAV of Rs 141.29 (as on Jul 30, 2018), and is managing assets worth Rs 4,180 crores (as on Jun 30, 2018). The risk associated with the scheme is moderately high as the scheme invests predominantly in equities. For management and other carrying out other expenses, an expense ratio of 2.08% (as on Jun 30, 2018) will be charged annually from your principal amount and if you take out your investments before 365 days, then an additional 1% will be charged as exit load. 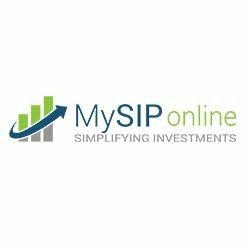 You can invest in this scheme through MySIPonline. For starting investment, you need an initial amount equaling Rs 5000, after which you can make additional payments of minimum Rs 1000 and can start a SIP for as low as Rs 500. Now let's see that how this scheme has performed in the past. The returns provided by Tata Equity P/E Fund in last 3, 5, and 10 years are 16.10%, 27.38%, and 16.35%, respectively (as on Jul 30, 2018), while at the same time the benchmark (Nifty Fifty TRI) has shown returns of 11.78%, 15.90%, and 11.47%. The great difference in the returns of scheme and benchmark is another proof of how good the management of this scheme is. Tata Equity P/E Fund is a true gem of the MF market and its stable performance during market volatility is a big proof of that. Investors who are not so confident about the performance of this scheme can start low and then if satisfied with the returns, can increase their investment amount. If you have any investment-related queries about this scheme, then you can contact our experts at MySIPonline.